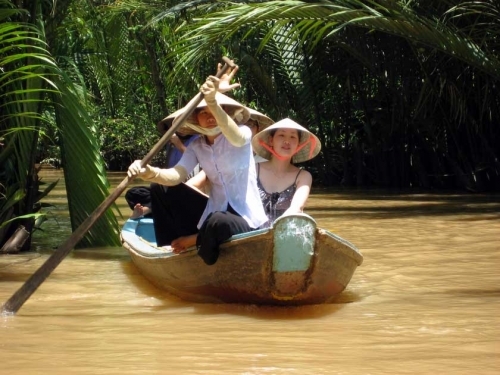 8 Days Saigon – Mekong Delta – Phu Quoc Tour is one of the most popular tours favourited by many domestic and foreign tourists. Not only do you visit many beautiful landscapes, but you also save much money with the package tour to explore Vietnam. It’s possible to pray the lucky and get deeply knowledge of the story of war from the Vietnamese perspective in War Crime Museum, Thien Hau Temple, China Town, Binh Tay Market and Ben Thanh Market. You will visit famous islands and the biggest Cai Rang floating market in Mekong Delta. 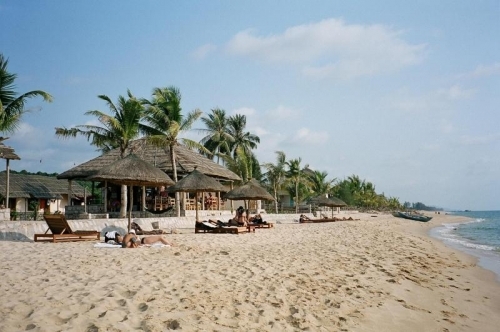 Phu Quoc is a unforgettable destination in your trip. Contact Viet Fun Travel to enjoy this interesting trip. 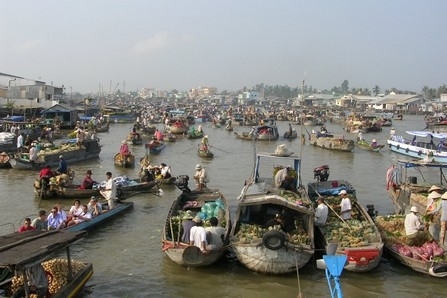 Mekong Delta - the biggest Cai Rang floating market. Our driver will pick you up from airport and transfer to hotel in Saigon/HCMC. Included: Airport transfer and accommodation in HCMC. Excluded: Meals, a tour guide, travel insurance, tip and personal expenses. 08.45am - 09.00am we will visit War Crime Museum (This museum tells the story of war from the Vietnamese perspective. Exhibits include photographs, machinery, and weapons that depict the harsh realities of war). Thien Hau Temple (One of the most important pagodas in the city, this richly decorated temple is dedicated to Thien Hau, the Goddess of the Sea and patron of sailors. She is said to travel over the oceans on a mat and ride the clouds to wherever she desires). China town (Settled in the late 18th century, this labyrinthine section of Ho Chi Minh City bustles with restaurants, temples, exotic stores, and markets) and Binh Tay market (This is the main marketplace in China Town, where a great deal of wholesale trading occurs. Experience the commotion of this integral part of the city's daily business). Then we have a lunch at restaurant. 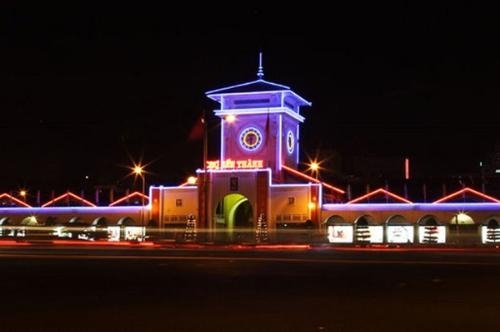 After that, we will visit Ben Thanh market where anything and everything is for sales, time for shopping here. 06.30pm – 07.00pm we will have dinner at the restaurant with the traditional Vietnamese food. Stay overnight in Saigon/HCMC at hotel. Included: Transport, breakfast, lunch, dinner, entrance fees, English speaking tour guide, 01 Aquafina water bottle and accommodation in HCMC. Excluded: Travel insurance, tip and personal expenses. 08.00AM, travel by air con tourist bus or private transport to My Tho - 9:30am board a wooden motor boat to Unicorn Island. On this boat along the river’s bank, you’ll be passing through natural creeks and quiet villages and watch rural people going to work. You will see an interesting fishermen's port, stilt houses. One of the boat’s stops during this trip is at a large orchard that has many different types of tasty tropical fruits for your enjoyments. Another boat stop is for the Turtle Island 1 hr from the previous one. Here, on a small row boat, you’ll see interesting transportation modes that local people use to move around. From there, we’ll take you to a bee farm where you have a chance to taste a tasteful cup of authentic honey tea while checking out the folk music that is typical to only the people in Southern Vietnam. - After that we’ll take you to a village where you can smell the flavor of coconut candies being made many yards away. This is a great chance to witness how village people make candy and handcrafted items from coconuts. You might learn that those people can amazingly make dozens of useful products out of coconut trees. As your journey ends, you will return to My Tho by motorized boat and then travel to Can Tho. Stay overnight in Can Tho. Included: Transport, boat trips, breakfast, lunch, dinner, entrance fees, English speaking tour guide, 01 Aquafina water bottle and accommodation in Can Tho. After breakfast at hotel, boarding a motor boat for a long distance trip to discover the area's largest marketplace...on water! Then cruising through small channels to visit a rice noodle making village, a large rice mill. Experience the “monkey Bridge "in the Delta. After that, we have lunch at the local restaurant before returning to Hotel in Can Tho. Stay overnight in Can Tho. Included: Transport, boat trips, breakfast, lunch, entrance fees, English speaking tour guide, 01 Aquafina water bottle and accommodation in Can Tho. Excluded: Dinner, travel insurance, tip and personal expenses. Have breakfast at hotel in Can Tho. 11.00am our driver will transfer you to airport to flight to Phu Quoc at 12.55pm. When you arrive in Duong Dong Airport. Driver will pick you up from airport and transfer to Resort. Check-in resort and relax on the beach. Included: Transport to airport/pick-up, 01 water bottle, breakfast at hotel in Can Tho and accommodation in Phu Quoc. Excluded: Lunch, dinner, travel insurance, tip, personal expenses and air ticket: Can Tho - Phu Quoc. Afternoon: Guide will take you to restaurant for lunch. Visiting Su Muon Pagoda, Tranh stream, trekking and swimming (from May to Nov only), Then visit the biggest fishing port and village in Phu Quoc. Taste fried seahorse; eat some fresh crabs… inside a busy local marketplace. Have dinner at local restaurant. Back at resort. Arriving a beach that is more beautiful than those in Hawaii and the Caribbean. Here you can swim in crystal-clear water, do some kayaking, or simply enjoy the sea breeze in a hammock. Duong Dong town; stop at one traditional fish sauce processing house which contributes to making and maintaining PhuQuoc fish sauce branch name. Experience activities of local people at Duong Dong market. Dinh Cau temple – the spirit Savior of the fisherman. Enjoy sunset on the ocean. Have dinner, back at resort. Included: Transport, English speaking tour guide, breakfast at resort, lunch, dinner, entrance fees, boat, 01 water bottle and accommodation in Phu Quoc. Our driver will transfer you to Duong Dong airport to flight back Saigon/HCMC for connecting to your flight. 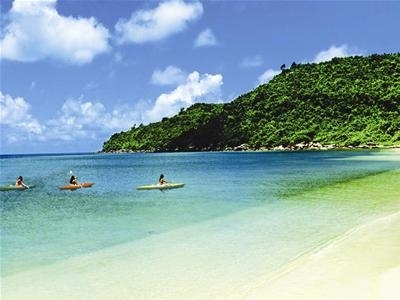 Finish Vietnam Package Tour 8 Days - Saigon - Mekong Delta - Phu Quoc. Included: Airport transfer and breakfast at resort. Excluded: Lunch, dinner, a tour guide, travel insurance, tip, personal expenses and air ticket Phu Quoc - Saigon. Note: Special request (diet or vegetarian, …) should be noticed before your departure date. Transport: Airport transfer, air con tourist bus or private transport and boat trips in Mekong delta. English speaking tour guide in tour. One water bottle per day. 07 breakfasts, 05 lunches and 04 dinners. Other meals without mentioned in conclusion part. Air ticket: Can Tho - Phu Quoc, Phu Quoc - Saigon (please choose "air ticket" part when booking this trip). E-visa to Vietnam (we can help you this, please contact us via sales@vietfuntravel.com). Print your voucher; locate the voucher in your travel confirmation e-mail or in " show ticket link on the site and show voucher to guide. You use air con tourist bus. If you are a single person or you request a single room, you must choose "single supplement" part. You use car/van and private transport.